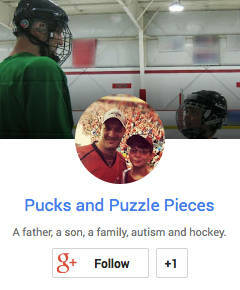 I started and abandoned two different post this morning about last week and Ryan’s struggle with extreme anxiety over hockey statistics. It’s all a little raw and I’m not ready to delve in just yet. Maybe later this week. A brief update: Things continue to improve each day, but Ryan still can’t bring himself to watch more than a few minutes of a game. He picked up a new diagnosis and is back on meds but we are hopeful we are on a path that will put this crisis in the rear view mirror. I have plenty to say about all of that but today is not the day. Instead I want to share the lightest moment of a weekend with plenty of ups and downs. We finally had some beautiful spring weather and both kids wanted to spend time outside. This interfered with my plans to sack out on the couch with a few beers and watch The Masters, but I couldn’t deny them. As Ryan likes to remind me when I resist, “Dad, I’m trying to get exercise and be healthy!” And so we played dozens of games of backyard hockey. Both kids also wanted to go bike riding. Bike riding is not a spontaneous activity where we live because of all the severe hills. You generally have to take the bikes somewhere to go riding, but there is a flat, low-traffic stretch at the top of our street that is suitable as long as an adult stays nearby to keep an eye out for cars. 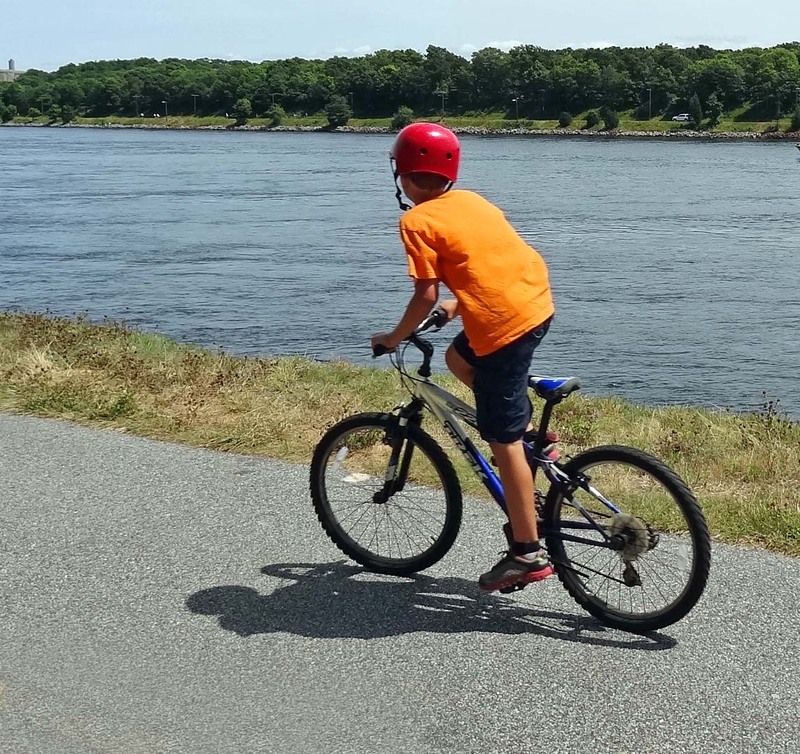 Ryan learned to ride a bike just two weeks ago, but his improvement was remarkable. He was steady and sure of himself. It wasn’t malicious or mean-spirited, just slightly inappropriate. When he did it a second time I waved him over to talk to him about it. Putting things in hockey terminology, I told him he was “chirping” the little kids and needed to stop. Ryan doesn’t get many opportunities to show off. I was glad he felt like doing so. I’d rather teach him tact than self-confidence. This week has been full of labels, anxiety, fear, hurt, anger and frustration. I’ll trade all that for some simple boasting any day. I totally get this. We’ve been having a hard time lately too. I wish I could live in the good moments only. At least we do have them … in between the other stuff. Ryan should be proud of riding a 2 wheeler. And you’re quite the awesome dad for sitting outside with them. I guess you missed Tigers “cheating”. I was able to sneak in viewing Tiger on a couple holes thanks to the Masters app on my iPhone 🙂 I’m not a huge golf fan, but I like to watch the majors, and I’m one of those people that is much more interested any time Tiger is in contention. You will have to bring the bikes next time you come to visit. I love the chirping the kids. It really is kind of funny. But to ride that well in 2 weeks is really amazing. I really think it just comes down to him being ready. As soon as he cared about riding, he took off.